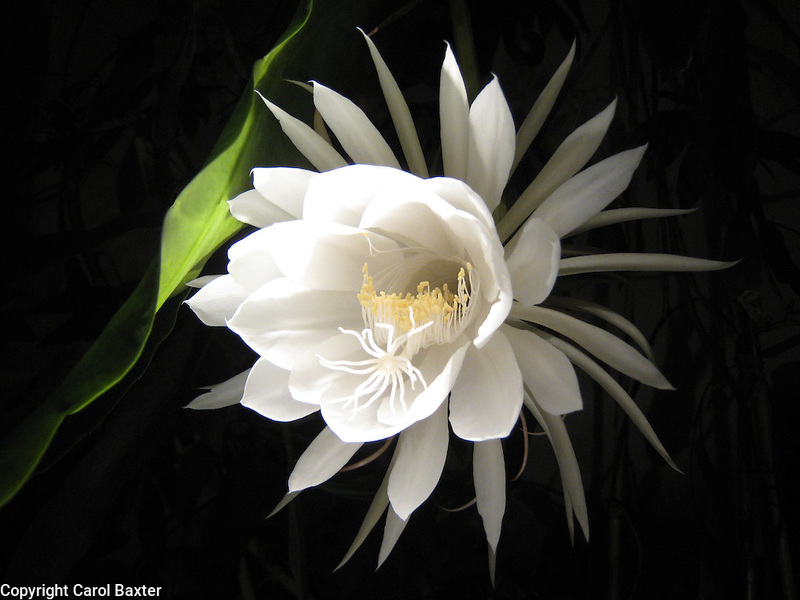 The flower on the Night Blooming Cereus (Epiphyllum oxypetalum) only lasts for one night. You can enjoy the fragrance throughout the evening as the blossom opens. In the morning, the bloom is totally closed and droops towards the ground. A mature plant may only bloom once a year.